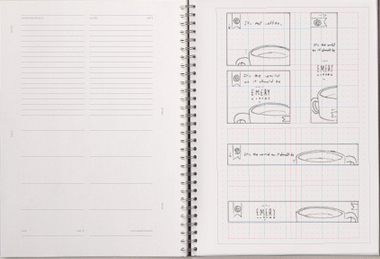 Our web grid, found in the Web Book and Web pad is ideal for wireframing websites. Use in portrait or landscape mode. With 40 pages of templates and grids, Ad Pads are the perfect way to create your next digital campaign. Quality design tools aid quality design. Gridbooks feature French-folded covers, 100lb text paper and raw metal coils.